A couple of years ago I wrote an article for Mashable listing some of the most essential Twitter chats discussing social media marketing. The list has grown a lot since then, so I decided to create an easy-to-share Google calendar you can subscribe to. 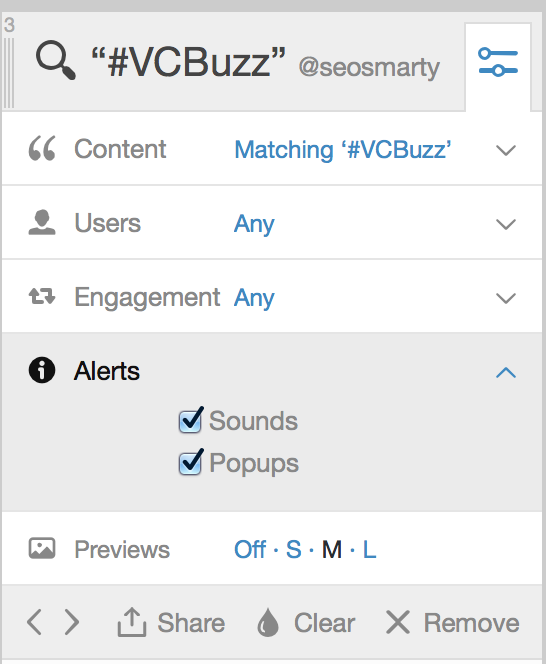 Create columns in Tweetdeck or Hootsuite to watch the chats and organize them. I prefer Tweetdeck because I can set any column to deliver desktop notifications; so I can decide which of the chats I was to watch closer. I have converted the whole schedule in EDT. Please use this converter if necessary. If you join the calendar, it will convert time for you. #wgbiz: Formerly a popular chat by @Tinu, now it’s a great way to connect to fellow marketing experts! #smbiz: This used to be a weekly Small business marketing Twitter chat and it’s now a great way to connect! #KloutChat: Formerly an official Klout chat, now this hashtag is a great way to read about social media influence, in general, and Klout tips in particular. #InfluenceChat: I couldn’t figure if it’s a regular chat any more but looks like an active hashtag for sure! This list was a big help for me. Thanks for including PPCChat on your list!